Confession time, one third of my clothing is probably Zaful. They are constantly add new items everyday which is great keeping up with trends at an affordable price but it also means that items go out of stock quickly! So you have to grab them quick or put them into a sad wishlist like me *cries. * Since I am still obsessed with the warm colour trend, i'm going to try focus this inspo list around the colour theme of mustard, burnt orange, reds and browns. Without further to do here is my current Zaful wishlist. 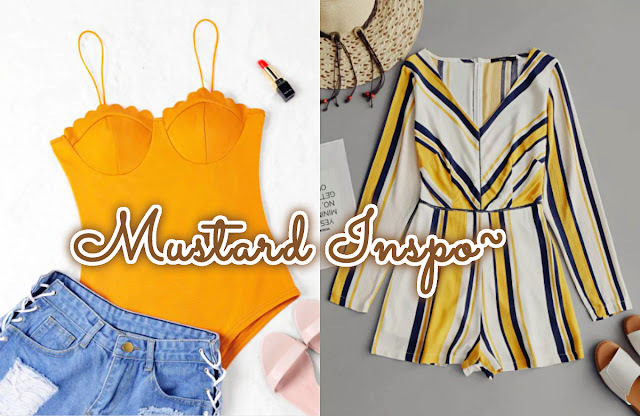 Mustard is my favourite colour at the moment trend and this bodysuit is my perfect shade of mustard. I love the scallop trim detailing, it adds a chic and cute touch to the sexiness of the suit. 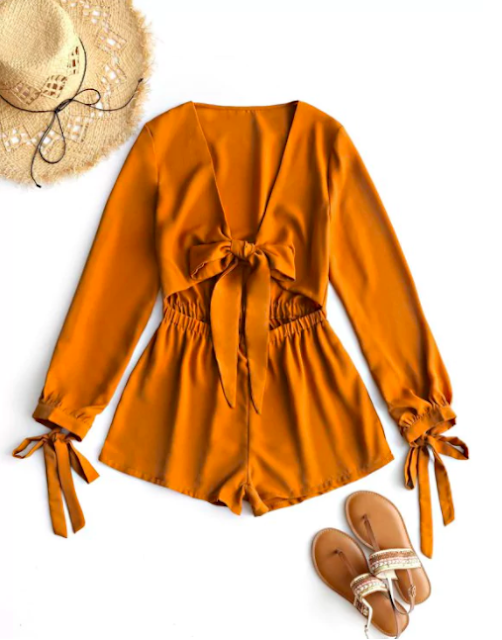 The colour of this romper is so unique! I've haven't seen any clothing this colour. 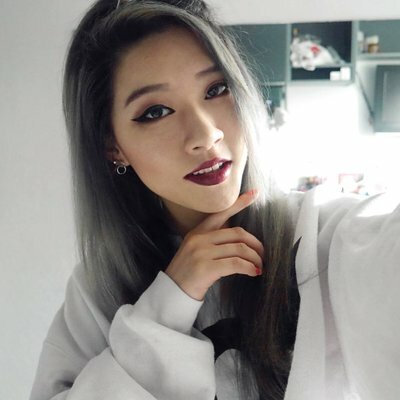 Plunge neck with bow ties are trendy this Spring, i've seen Youtubers like Christen Dominique and LaurDIY wear tops like this (but with floral patterns) on their Instagram. 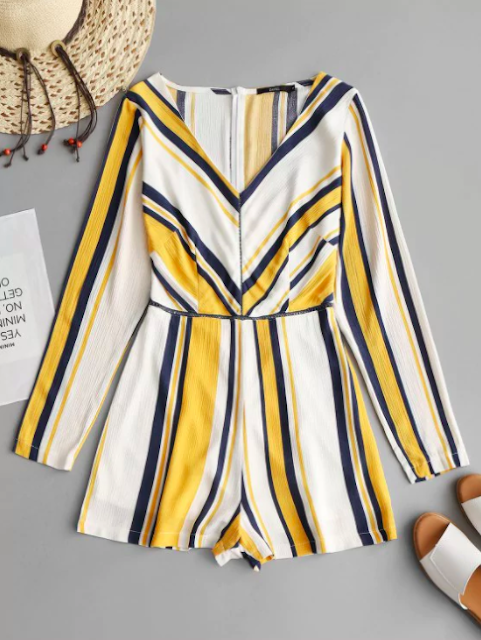 Staying with the plunge neck style, I like how this romper pairs it with the stripe trend. I think that the directions of the strips would elongate your body and look so flattering! 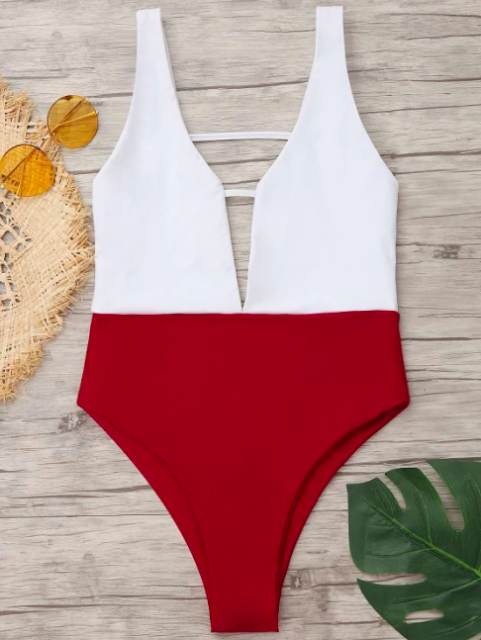 I'm going to Malta next month, so of course I need a swimming costume thats going to slay for Instagram (gotta do it for the insta!) I absolutely adore this one! It's minimalistic and has the plunge style going on again, but i'm soooooo sad they only have it available in XL. I might just get it anyway because I love it that much. 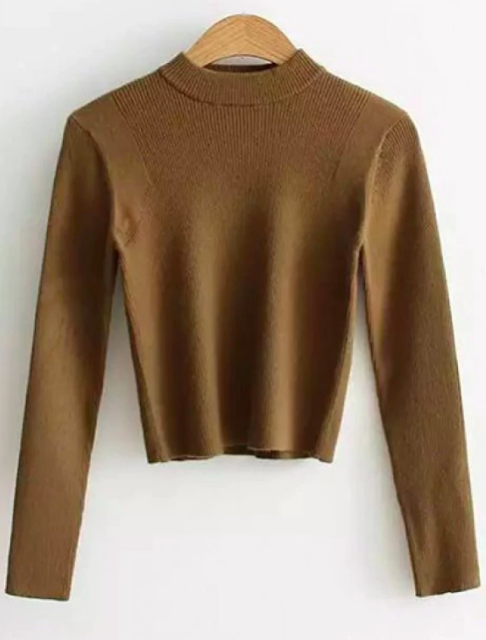 You can never go wrong with the off shoulder style, anyone could pull off this bodysuit! 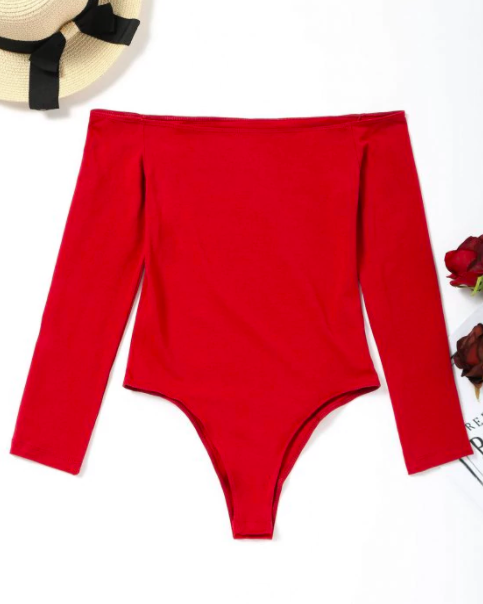 The bold red and having a bit of skin revealing will definitely boost up your confidence. 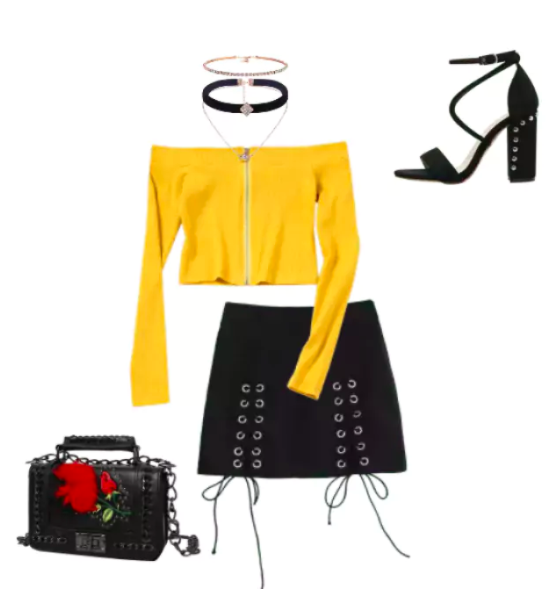 To finish off this list I though I would do something different and create an outfit together with the Zaful Z-Me virtual wardrobe feature.  Hope you've enjoyed my inpso and wish list! Which is one if your favourite item?